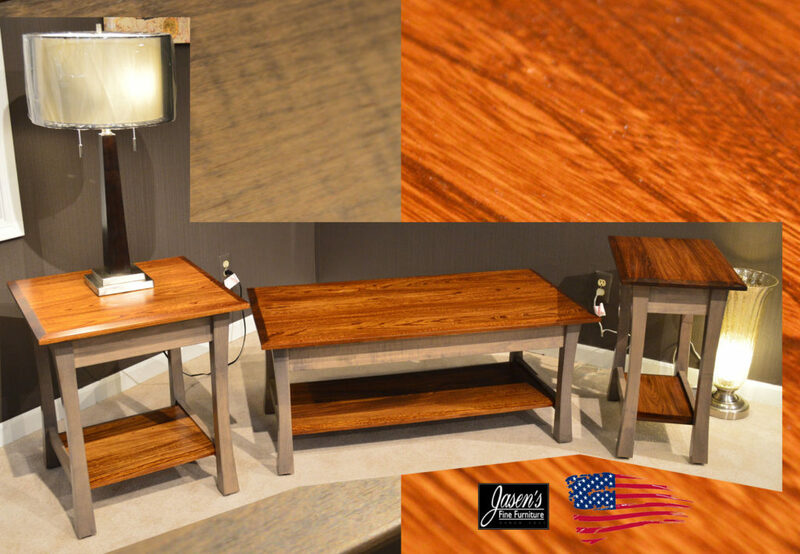 Amish Elm Tables feature open design with soft curving legs, clean lines and beveled tops. The tables shown also feature Elm tops and shelves paired with a unique driftwood stain for a modern look that will match a lot of current upholstery trends. Can be ordered in any wood specie and stain of your choice, available with drawers, and many other table sizes are available. Made in USA!